Beachside Summerwind Condo, located on a 5th floor with partial ocean views, East facing long balcony accessible from both bedrooms, and living room. Living/Dining room combo, carpet throughout most of the unit, comes furnished, As Is. Additional assessment for exterior concrete restoration already paid in full. Must visit to appreciate the location. Private beach access, a short walk along side of Lorie Wilson Park, unit comes with detached private garage, spacious storage closet on level one of the building. 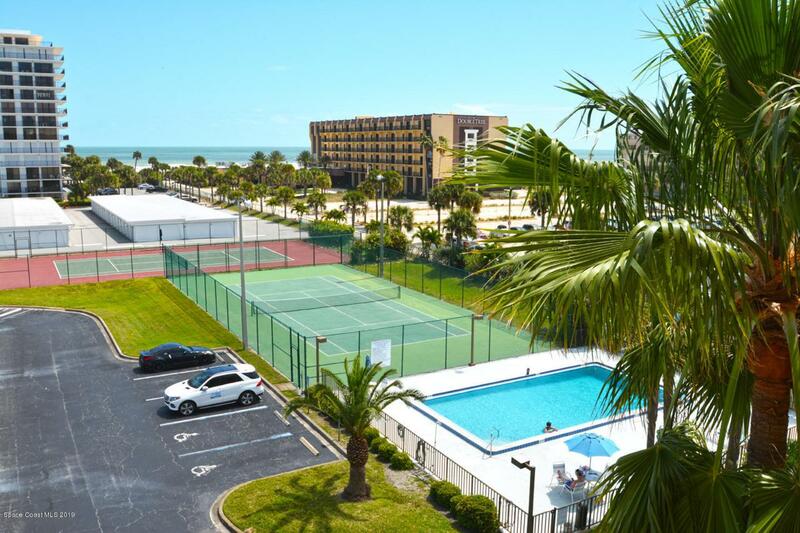 This two bedroom, two baths condominium is located just across from brand new grocery store, wonderful restaurants, on the East side of A1A, so no need to cross a street to get to the ocean. Accordion Hurricane Shutters over each balcony opening provide protection from storms. Listing provided courtesy of Seaside Realty Of Brevard.